Compare portable heaters from Rinnai, Heller, Kogan, Kambrook, Dyson, Sunbeam, Goldair, Kmart, De’Longhi, Target, Dimplex and ALDI on effectiveness, functionality, reliability, noise while operating, appearance & design, value for money and overall customer satisfaction. For the second year in a row, Rinnai has earned five stars for overall satisfaction in our portable heaters review. It also rated five stars on effectiveness, functionality, reliability, noise while operating, and appearance & design, with three stars on value for money. Australia might be renowned for its sun-kissed beaches and hot summer days, but it still can get pretty chilly over the winter months. 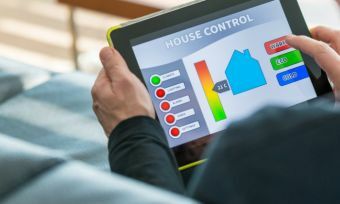 Aussie homes designed to keep cool in summer can quickly backfire when June arrives, making it difficult to get out of bed in the morning. If your place isn’t fit for a fireplace, and your air conditioner has been retired for a few months, a portable heater might be your only answer to keep warm and toasty when the temperatures plummet. There are a number of factors to consider when buying a portable heater, most notably the ongoing running costs. However, the first thing you’ll see when you shop around online or head in-store will be the price and brand name. How do you know which to choose? Canstar Blue’s customer reviews and ratings are here to offer some guidance. We have surveyed over a thousand households across Australia – that have recently bought and used a new portable heater – to get their feedback on the heaters keeping them warm at night. Their feedback is reflected by the star ratings you see above, with brands rated on factors including effectiveness, functionality, reliability and value for money. 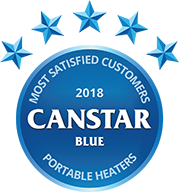 For the second year in a row, Rinnai has topped Canstar Blue’s portable heater ratings with five-star reviews on effectiveness, functionality, reliability, noise while operating, appearance and design, plus overall customer satisfaction. It got three stars on value for money. 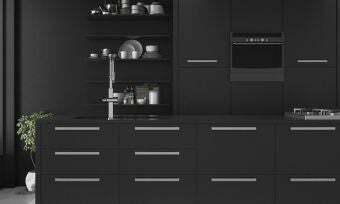 Heller, Kogan, Kambrook, Dyson, Sunbeam, Goldair and Kmart all received four stars for overall satisfaction, while De’Longhi, Target, Dimplex and ALDI all got three stars apiece. Other top results included Kambrook, Goldair and Kmart being the only three brands to achieve five stars on value for money. Along with this year’s winner, Heller, Kambrook and Dyson also got five stars for functionality. Rinnai and Heller both got five stars for their noise levels, while Kogan, Dyson, Goldair and this year’s winner received five stars on appearance and design. To help you identify which portable heater might be best for your needs and budget, read on to find out what each of the 12 brands in this year’s review have to offer. We’ll also look at some important factors to consider when buying one. Rinnai produces a range of portable electric and gas heaters that seem pretty cost-effective and offer simple, powerful heating. A lot of its portable heaters come in a simple off-white colour and should be plenty powerful to keep you warm during those chilly winter mornings and evenings. 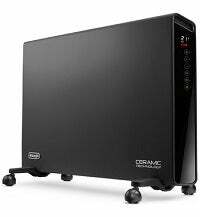 The minimum you can expect is about 1000W of heating power, while some models deliver over 2000W. Most Rinnai heaters are priced around the $800 mark, but can go up to $2,000 for its natural gas heater models. Many come on basic caster wheels while the gas models can be moved around a room with the hose attached to the mains. Rinnai heaters come with pretty generous warranties of three or five years. Rinnai was an outstanding performer in our 2018 review, rated five stars for overall satisfaction and in most other categories. It got three stars on value for money. Heller offers a variety of heating solutions, with its portable range coming in a number of shapes and sizes. Expect heating capacities from 1000W to 3000W, which should be plenty to keep your toes toasty. 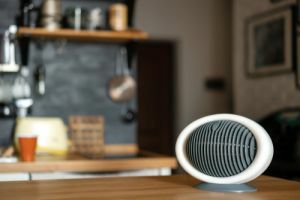 A unique line of portable heaters from Heller is its remote-controlled strip heaters (picture courtesy of Betta Home Living) coming in options of 3000W, 2400W and 1800W, depending on the size of the room you want to heat. You can find Heller heaters from as little as $30, going up to as much as $300. The range includes tower heaters, ceramic heaters, radiant heaters, as well as basic oil heaters on caster wheels. Typically, Heller offers a 12-month warranty on its models. Heller got four stars for overall satisfaction, plus five stars on functionality and noise levels. It got four stars in all other categories. Kogan is an online-only superstore, selling anything from clothes, to mobile phones, to mobile phone plans, cheap TVs and yes – cheap portable heaters. Aside from stocking a wide variety of other brands, Kogan also has its own-brand heaters. It generally produces three categories of personal heaters – column, panel and ceramic. Most Kogan portable heaters come in an off-white design, while some are sleek black, and prices start at around $60, with most under $200. While you’re loading your online cart with a TV and a mobile phone, you may want to consider a cheap portable heater as well. Kogan was rated four stars for overall satisfaction in our 2018 review, as well as in most other categories. Notably it did rate five stars on appearance and design. 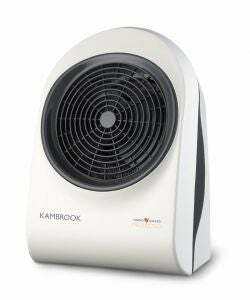 Kambrook produces a large range of portable electric heaters to suit most needs and household sizes. It offers a range of ceramic, fan, oil column, radiant and other alternative heating options. The funkiest in design are the small, personal ceramic heaters, with some models in a bulbous shape. Other ceramic heaters are in a slimline tower shape, perfect for a corner of a room. Other than that, most Kambrook heaters feature basic designs, and simple yet powerful heating capabilities. Prices start at just $40 for the smaller radiant varieties, while the personal heaters start at around $60, with prices going up to $150. Kambrook achieved four stars for overall satisfaction and most other categories. However, it did rate five stars on value for money and functionality. You might be more familiar with Dyson’s range of vacuum cleaners, but it also offers one portable electric heater at the time of writing. It comes in space-age bladeless designs and offers simple, yet effective functionality. It even doubles up as a fan and can be controlled through a remote. There are two colour options – Black and Nickel, or White and Silver. However, as with most Dyson products you can expect to pay a fair amount, in this case $599. If you want a sleek-looking portable heater, Dyson likely has you covered. Dyson was rated four stars for overall satisfaction in 2018. However, it was notably rated five stars in terms of both functionality and appearance. It was just three stars on value for money. Most heaters feature adjustable thermostats, which is notable given their price. Prices start at about $70 and max out at close to $140. For the larger portable kinds, there are sturdy caster wheels to help you move the heater around with you. Sunbeam rated four stars for overall satisfaction and in almost every research category, except functionality where it got three stars. 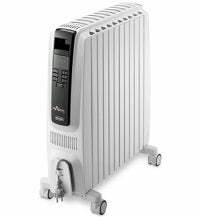 Goldair has a wide range of portable heaters on offer. They include fan, ceramic, convector, radiant, oil column, panel and even heaters with a flame effect. Some of its panel heaters are Wi-Fi enabled so you can control them via your smartphone. These come with either 1000W, 1500W or 2000W of power to suit whatever size room you have. Most come in a standard white finish, but you can also find some fun colours such as retro red or cream (special order). 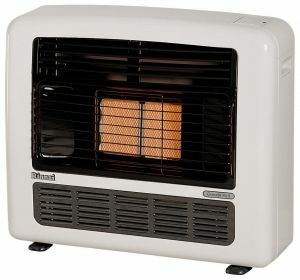 Goldair heaters can be had from around $30, going up to over $500 for its radiant heater range. Goldair saw a mixed bag in 2018, with four stars for overall satisfaction but just three stars for reliability. However, it got superb five-star reviews on value for money and appearance. You can keep warm during winter with Kmart’s budget friendly heater range. It features oil heaters, convection heaters and electric heaters. Its oil heater is designed with 11 fins while one of its models also has an oscillating function that can double up as a fan. Compact models can be had for around $20 and oil column heaters for about $80. The full range is stated to come with a 12-month warranty. Kmart received four stars for overall satisfaction. It was rated three stars in most categories but still got a five on value for money. De’Longhi is a small home appliance specialist, producing everything from coffee machines to toasters, and indeed portable heaters. De’Longhi offers a wide range of oil column heaters, as well as sleek panel heaters, and small ceramic personal heaters. A lot of them come in compact, ergonomic designs perfect for plonking in the corner of a room and carting around with you during a cold winter’s morning. Prices for the oil column heaters start at around $100, with a few costing near $300. For panel heaters, the most you can expect to pay is about $500, while for the small ceramic models you can expect to pay anywhere from about $80 up to $200. DeLonghi was rated three stars for overall satisfaction in our 2018 review, and in most categories except reliability, noise and appearance where it was rated four stars. While not available all year round, Target does sell a few heaters in stores during the winter months. 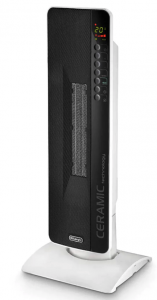 Its range includes an 11-fin heater, a compact ceramic heater and a radiant 3-bar heater. Expect fairly basic functionality such as different heat settings and temperature sensors. 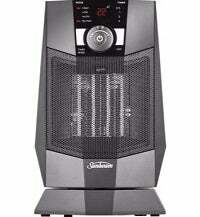 Its personal heater typically retails for $15, while its radiant heater can be found for as low as $30. The maximum you will be paying for a Target heater is about $60, which is what its 11-fin heater was priced at in winter 2018. Target rated three stars in every research category this year. Dimplex is known as a brand that produces cost-effective cooling and heating solutions, and it certainly has a large range of portable heaters. It has simple column heaters that cost as little as $130, but also has some fancy ones as well. 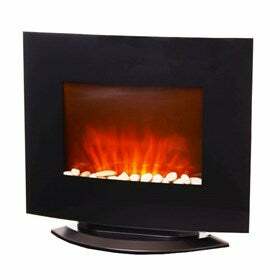 Take for example the ‘Rondo’ model (pictured) – it’s an electric portable heater with a flame effect image. 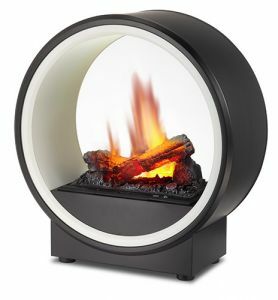 The ‘flame’ sits inside a circular shape, making it a funky way to heat a space. Be prepared to pay over $1,000 for its electric fire models though. Most others in the range sit between $150 and $400, so there’s certainly plenty of choice. Dimplex got three stars for overall satisfaction in our 2018 review, as well as for effectiveness. It was four stars in all other categories. Well-known for its special buys, ALDI typically offers a few heaters in its middle aisles just before the ‘cold snap’ hits every year. In 2018, it had a 7-fin oil heater, a 2000W tower ceramic fan heater, and a convection heater up for grabs. Some features in the range included various heat settings, a turbo fan function, an adjustable thermostat, plus a 24-hour timer so you can set and forget about your heater. Prices started from $28 last winter, with the most expensive ALDI heater costing just $70. You’ll have to keep an eye out for its special buys to see when they’re back in stores, and keep in mind that stocks are always limited, so it’s best to get in quick. In 2018, ALDI got three stars for overall satisfaction, as well as for effectiveness, functionality and reliability. It notably achieved respectable four-star reviews on value for money, noise and appearance. What to consider when buying portable heaters? Now you have a good idea about the brands, let’s review some of the things to consider before buying a portable heater. Respondents to our survey not only identified the best-rated brands, but what drives their satisfaction with their purchase, listed in the following order of importance. It’s evident that effectiveness is the key driver of satisfaction because what good is a heater if it’s just standing around sucking up energy without actually keeping you warm. This leads us to our next point – portable heaters don’t come with energy-efficiency star ratings, so it can be difficult to determine how much energy yours is using, and therefore how much it’s costing you. Our survey found that upfront price tends to dictate portable heater purchase decisions rather than energy efficiency – but this could be a costly mistake. As with all household appliances, it’s important to consider ongoing running costs, as well as the initial upfront cost. The problem for consumers looking to buy a new portable heater, however, is that they are not regulated by the government’s energy ratings scheme, meaning you will not see the energy ratings label on most portable heaters, like you would with your refrigerator or washing machine, for example. So, what can you do to avoid an energy-sucking portable heater? Well, just like with your major appliances, you can generally expect the most efficient heaters to cost more upfront. 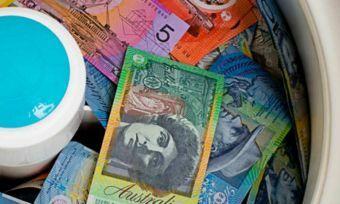 If you buy a heater for less than $50, you should expect it to cost you plenty of cash in the long run. Be sure to consider the wattage of any heaters you’re comparing – the greater the wattage, the more power the appliance will need to use. 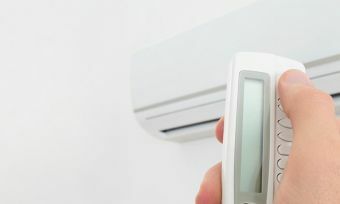 A general rule of thumb is that, the harder an appliance is required to work to achieve its settings, the more energy it will subsequently use. Keep this in mind when choosing your temperature! We’ll give an overview of how each one works next. Personal ceramic heaters are perhaps the most portable of the lot, as many are less than 60cm tall and feature handles so you can pick them up and take them wherever you want to go. Personal ceramic heaters generate heat by using a heating element of what’s called Positive Temperature Coefficient (PTC) ceramic. They come with self-regulating temperatures, meaning the power supply decreases when electric voltage is applied to the PTC ceramic material. This in effect means they are potentially one of the more energy efficient heaters out there, and their rather compact nature means they are one of the cheapest types, too. The trade-off with this is that generally they are best for heating only a bedroom or study, rather than a whole lounge room or large area. Fan heaters also fall into this category. Panel heaters may look more like an LCD TV than a heater, especially when finished in glossy black. Also called ‘convection’ heaters, panel heaters primarily use air convection currents that circulate through the body of the appliance. This heats up the air, causing it to expand, which makes the hot air rise. Most personal portable panel heaters use an electric heater element, which is good for cost-effectiveness, but not the greatest for electricity efficiency. Panel heaters are generally quiet to run, and their very method of operation means that hot air is usually dispersed upwards. This makes it ideal for heating a lounge room or similar, but not so great if you want to heat a targeted area, such as where you are sitting or studying. Column heaters are often on caster wheels for easy manoeuvrability. Oil column heaters are a form of convection heater, yet do not use oil for fuel. They are instead electrically heated, and the oil is used as a heat reservoir. Inside the metal columns, the silicone oil flows freely around the heater. The electric heating element heats up the oil and it flows around the heating columns. Oil tower heaters generally have lower surface temperatures, making them suitable for bedrooms. 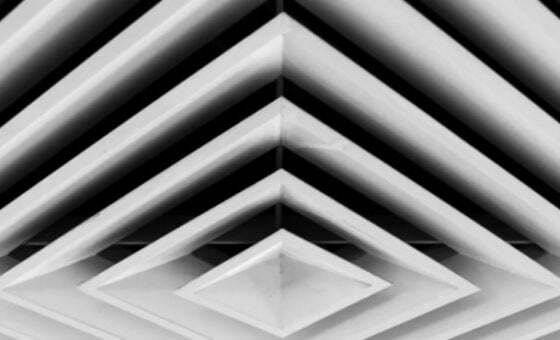 But they can be susceptible to being a potential fire risk if any materials are placed over the heater. 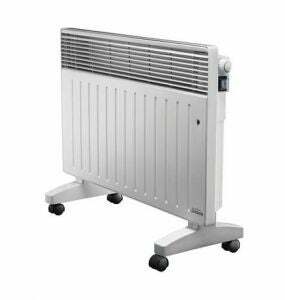 Oil tower heaters are generally small in stature, probably best suited to bedrooms or studies. Also available to buy are gas-powered portable heaters. Rinnai seems to be the leading brand when it comes to gas heaters, with most appliances costing upwards of $1,000. However, with gas the energy source, gas heaters should cost much less in the way of ongoing power bills. Whichever type of heater you’re looking for, we hope you find this review helpful. Canstar Blue surveyed 6,000 Australian adults across a range of categories to measure and track customer satisfaction, via ISO 26362 accredited research panels managed by Qualtrics. The outcomes reported are the results from customers within the survey group who have purchased and used a portable heater (i.e. a heater that can be picked up and moved, NOT one that is permanently installed) in the last 3 years – in this case, 1,294 people. Daikin and Panasonic are the two powerhouses of air conditioning. Compare their products and decide which is best with the Canstar Blue review.